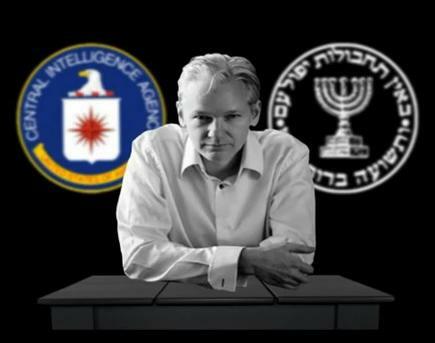 Two Firms That Plotted Against WikiLeaks Finally Apologize ! Two data intelligence firms that decided to cooperate with HBGary’s plot to sabotage WikiLeaks have severed ties. Berico Technologies severed ties in the afternoon on February 11 and early in the morning on February 11 Palantir Technologies severed all ties and issued an apology. Karp contacted Greenwald and apologized to him. According to Greenwald he “vowed any Palantir employees involved would be dealt with” the way HBGary had been dealt with. And, as Greenwald indicated in his post on the campaign to target WikiLeaks, he said Karp committed to telling Greenwald by the end of the week whether Bank of America or Hunton & Williams had retained these firms to carry out the proposal. Tech Herald notes that HBGary has refused to address the WikiLeaks proposal that was uncovered. That could be because another plot was reported and shared widely yesterday—Think Progress reported a plan supported by the Chamber of Commerce to target progressive unions. Greenwald writes, “The real issue highlighted by this episode is just how lawless and unrestrained is the unified axis of government and corporate power…The full-scale merger between public and private spheres” is what becomes most glaring when examining this episode. After Anonymous imposed some very minimal cyber disruptions on Paypal, Master Card and Amazon, the DOJ flamboyantly vowed to arrest the culprits, and several individuals were just arrested as part of those attacks. But weeks earlier, a far more damaging and serious cyber-attack was launched at WikiLeaks, knocking them offline. Those attacks were sophisticated and dangerous. Whoever did that was quite likely part of either a government agency or a large private entity acting at its behest. Yet the DOJ has never announced any investigation into those attacks or vowed to apprehend the culprits, and it's impossible to imagine that ever happening. One thing that even the dim bulbs in the media should understand by now is that there is in fact a class war going on, and it is the rich and powerful who are waging it. Anyone who does anything that empowers the little people or that threatens the wealth and power of the plutocracy must be destroyed. There is a reason for these clowns going after Think Progress and unions, just like there is a reason they are targeting wikileaks and Glenn Greenwald, Planned Parenthood, and Acorn. To a lesser extent the fail parade that was the Daily Caller expose on Journolist was more of the same. Right now, Anonymous members or those suspected of being linked to Anonymous are being rounded up and are being told they will have to go before a grand jury People like this student from Georgia Tech who only went into the chat room and talked with members are having their property seized and their lives ruined. Anonymous plans to release 27,000 emails from the server of Greg Hoglund, chief executive of the software security firm HBGary. It has posted 50,000 emails of Aaron Barr from the CEO of its sister organization, HP Gary Federal. They obtained the emails by hacking into Hoglund's email. The Anonymous members are working on a web viewer so the public can read the emails. The new front for this group is being called AnonLeaks.